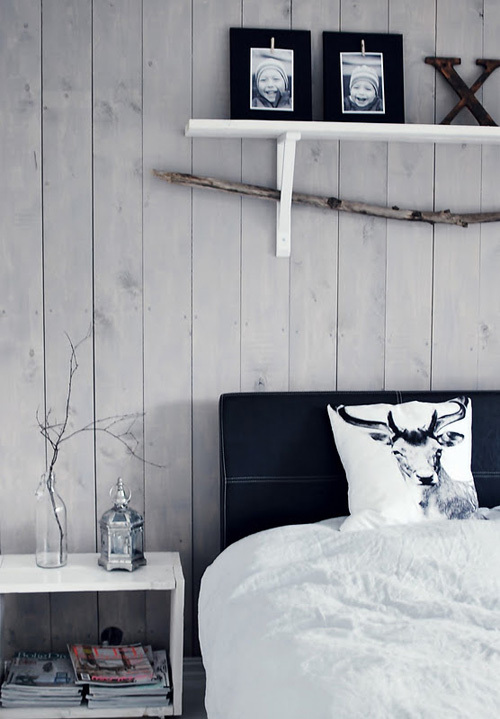 I think grey is a good color to be used in bedrooms, especially when it is combined with white and wood. 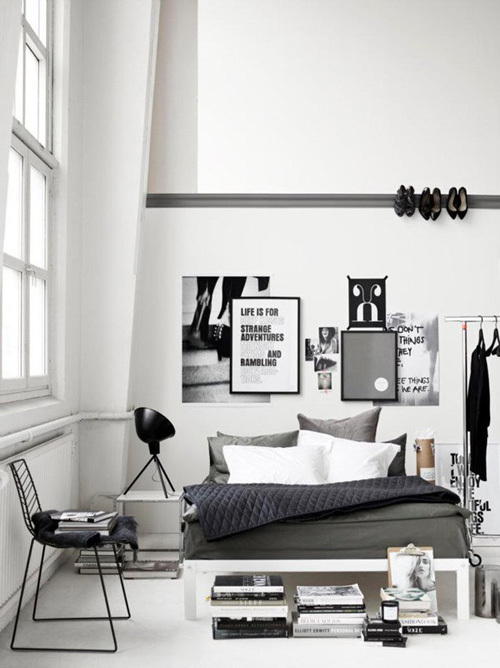 Here are some images of bedrooms that all have a bit of grey. Source: 1. Alvhem, via Trendenser, 2. Marjon Hoogervorst, styling by AnoukB, 3. Pia Ullin, styled by Pella Hedeby, 4. Lotta Agaton, 5. Cathrines Hjerterom, 6. unknown. 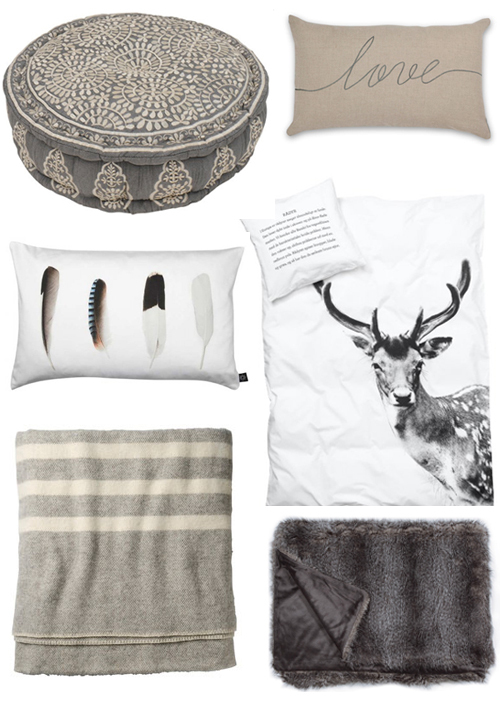 Clockwise, starting top left: grey pouf with embroidery, linnen Love cushion, duvet cover with Deer print, ‘Fur’ throw, Woolen blanket, cushion with Feather print. don’t you love the shoes on the rail in the third picture? I’d take any of these bedrooms! 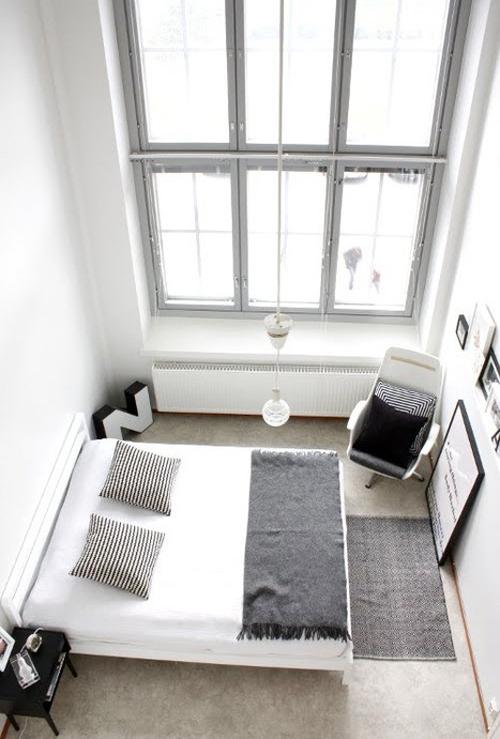 the last bedroom is grey & (highy) perfect. the windows remind me of the Lloyd hotel. I love the grey, white and an added color either to mute or spark the room!! These are the perfect bedrooms for the winter time. So edgy! 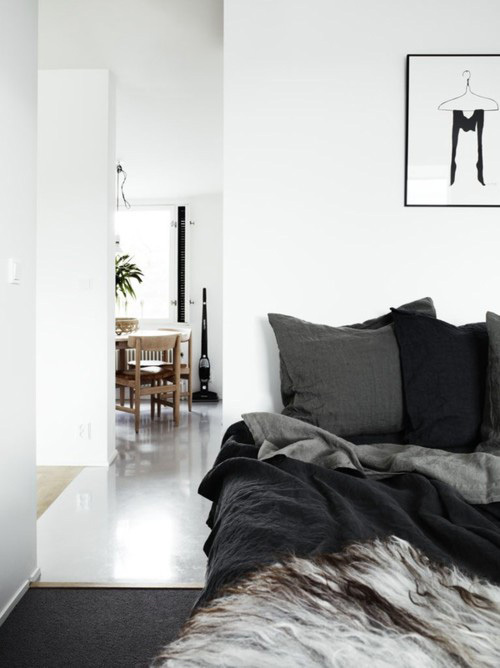 I can’t wait to design a a Grey Bedroom! I agree with Karena, adding just one color with SPARK the room! Wow, you’ve captured my current passion in decor! Grey, white, wood, and faux fur. LOVE! Hi Danielle, Wonderful pictures and bedrooms!! Have a great day! Your blog is always so inspirational! Thanks for all your kind comments! Good to hear that you love grey: I have more grey inspired post lined up for the coming weeks.. Thanks Johanna for letting me know the source of image no. 6! Wonderful soft greys, great inspiration. Love them all! I love the bedroom in picture 4! 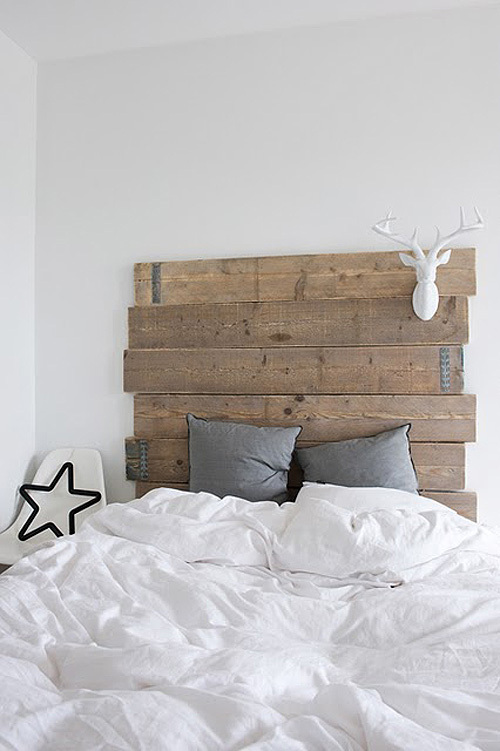 Where can you get linen sheets like that online?